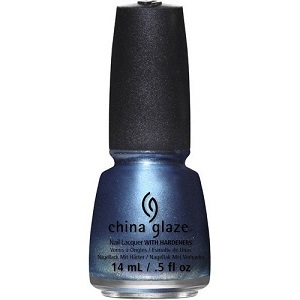 China Glaze Nail Polish, December To Remember, 1351, .50 fl. oz. Medium blue nail color with subtle teal undertones and color shifting micro-flake shimmer that shifts from violet to silver and to a subtle green.